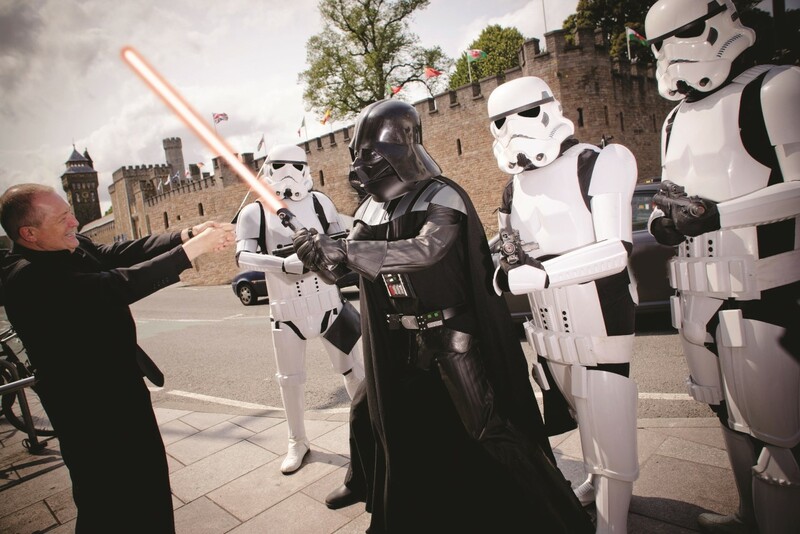 The ever-popular Cardiff Philharmonic Orchestra concert A Night at the Movies returns to St David’s Hall on Friday 9 December – and this year it comes with a Heroes & Villains theme! Experience the glitz and glamour of Hollywood with some of the most memorable movie music ever recorded including Harry Potter, Superman, Indiana Jones, Psycho, Thunderbirds and Pirates of the Caribbean to name just a few. Furthermore, the repertoire will feature the Welsh Premiere of music from To Kill a Mockingbird. Iconic actor Gregory Peck won an Academy Award and Golden Globe for his role as lawyer Atticus Finch and was born 100 years ago in 2016. Renowned globally as a hero of cinema, this piece serves as a fitting tribute. And following the staggering sell-out success of last year’s concert, Cardiff Philharmonic Orchestra will again perform music from Star Wars, but this time it will be a Welsh Premiere of five pieces from Episode VII: The Force Awakens. As always, the concert is conducted and presented by the masterful Michael Bell. Brace yourself for this rollercoaster ride down the red carpet with Cardiff Philharmonic Orchestra live at St David’s Hall – the perfect night out for any film fan! * If you’ve never experienced the thrill of an orchestra performing at full flow in one of Europe’s finest acoustic concert halls, the starting price of just £5* won’t break the bank for first-timers…You may just love it!